When dangerous wild animals are mentioned most people don’t think of the UK. And for good reason. 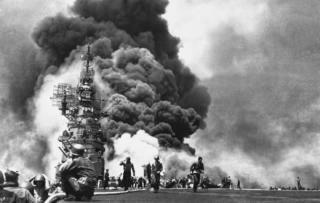 Generally speaking there isn’t much in the way of animals that presents any danger to humans. That was made sure of in Medieval times when all the wolves, bears, wild boars and man-eating hedgehogs were hunted to extinction. Given that there aren’t that many animals that would normally be considered deadly it took a bit of head scratching to come up with this list. Rather than focus on only wild animals I decided to just look at the figures and choose the animals found in Britain that were most likely to cause death or injury. 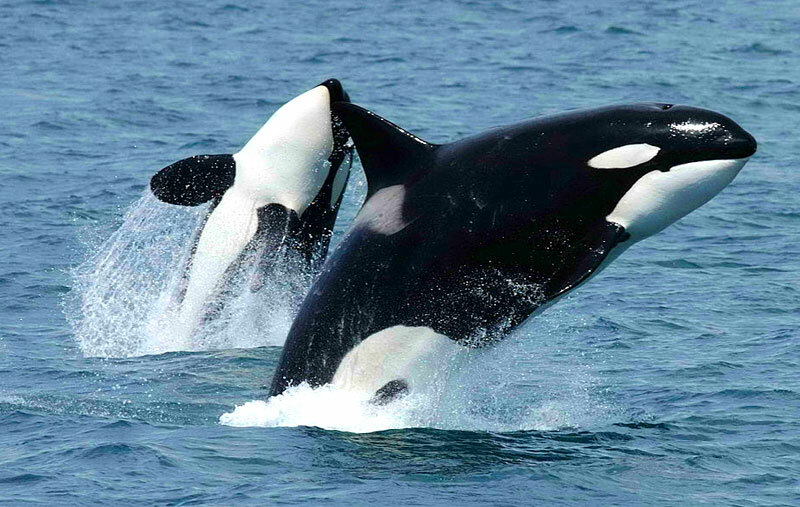 At up to 35 ft (10m) in length, weighing 10 tons and capable of swimming nearly 40 mph (60 km/h) the killer whale has little trouble tackling any size of prey. They have been known to take on sperm whales, blue whales and even great white sharks which they dispatch with little trouble. More commonly they prey on seals and sea lions which they kill with a headbut or a blow from the tail. With those credentials I figured I had to include the killer whale on this list – even though you are much more likely to be chased by a seal. Unlike Australia, for example, the UK is not known for its plethora of deadly biting spiders. In fact there isn’t a single record of anyone dying from a spider bite in Britain. But, that isn’t to say we don’t have a fair few eight-legged critters that are capable of giving a quite nasty nip. There are around 15 British spiders that are on record as having bitten anyone. The severity varies from barely noticeable and a bit itchy to about as bad as a wasp sting. Anyone in the UK who hasn’t been living under a rock will probably have heard of the False Widow spider (Steatoda nobilis). 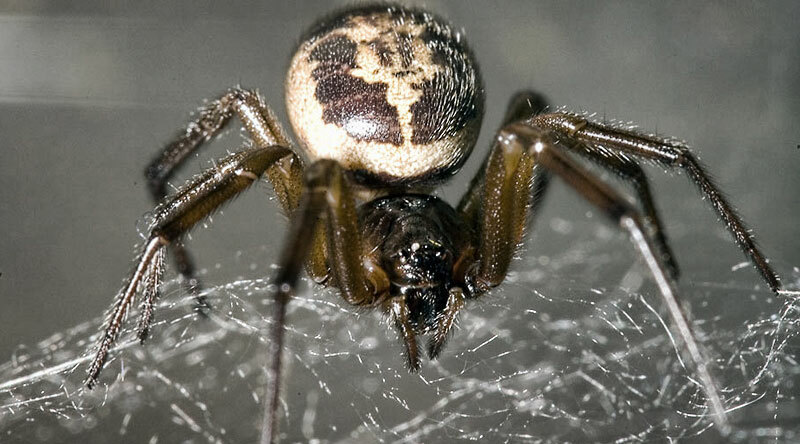 This is the most venomous British spider and is becoming increasingly common. It’s related to the notorious Black Widow spiders and is kind of a watered down version. As well as a painful bite there can be a few system-wide symptoms like feeling unwell and even heart palpitations. Given the fact all the big wild animals were pretty much wiped out by hunting we’re only left with the fox and badger as wild carnivores. If I had the choice of being locked in a room with an angry badger or an angry fox I’d take the fox any day. The point is though that a badger wouldn’t end up in a room with me as they are shy and retiring creatures. 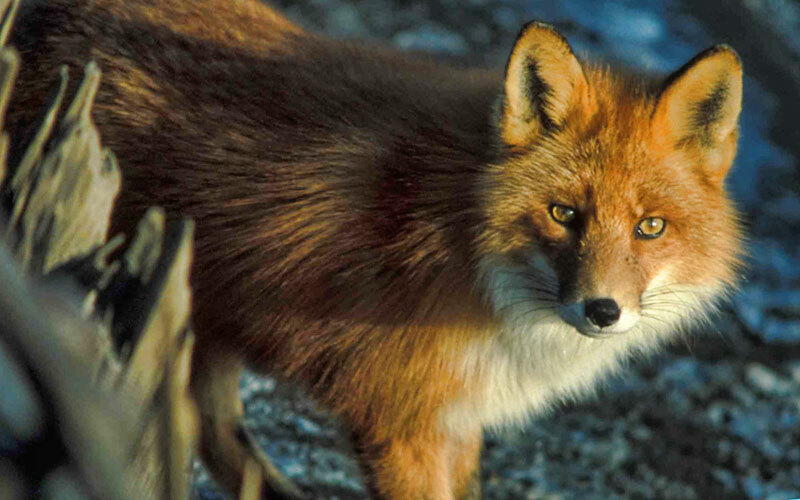 Foxes, however, often come into contact with humans. It used to just be angry chicken farmers or that wonderful upper class British establishment “the hunt”. Now-a-days there are urban foxes; the sort of fox that probably doesn’t even know where milk comes from. Virtually all jellyfish can sting to some degree. They do this with specialised stinger cells on their tentacles which fire out tiny envenomated harpoons at incredible speed. There are several jellyfish considered native to British waters and a few frequent visitors. 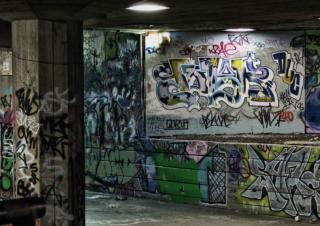 Of these two are particularly worthy of mention and can both be considered dangerous. The Lion’s Mane jellyfish (Cyanea capillata) is the world’s largest. 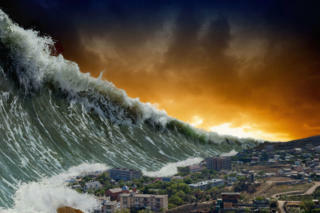 Its bell can reach 2 metres (7ft) across and its tentacles can stretch for over 40 metres (120ft). It is capable of delivering a particularly severe sting which may result in blisters, muscle cramps and even impaired respiratory and heart function. The stinging cells also remain active long after the animal has died so washed up specimens can still give a nasty sting. One of the most infamous of all jellyfish is a not uncommon summer visitor to Britain’s coast. 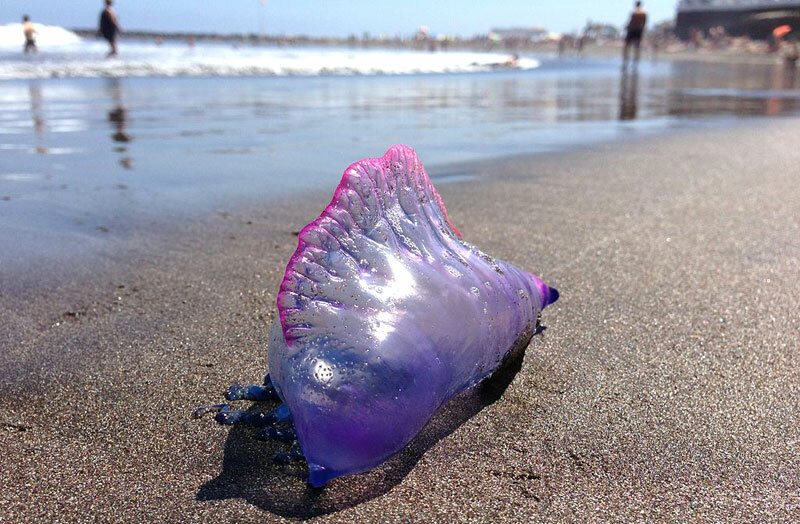 The Portuguese Man o’ War (Physalia physalis) whilst not a true jellyfish certainly looks and stings like one. Whilst a single sting is not serious getting one of these tentacles tangled around you can be. The venom of the Man o’ War can cause nausea, convulsions and very rarely death (although never in the UK). Whilst many people retain a romantic view of seagulls following fishing boats into quaint harbours, their distinctive cries a defining feature of the seaside, the reality is they are a growing menace. Now this isn’t necessarily the seagull’s fault. They have been lured more and more into contact with humans by the easy pickings offered from overflowing bins to tourists leaving food lying around. Whatever the cause they are becoming bolder and more aggressive. Affectionately known as “sky rats” eating anything outside in a British seaside town has become a sure fire invitation to be dive bombed. 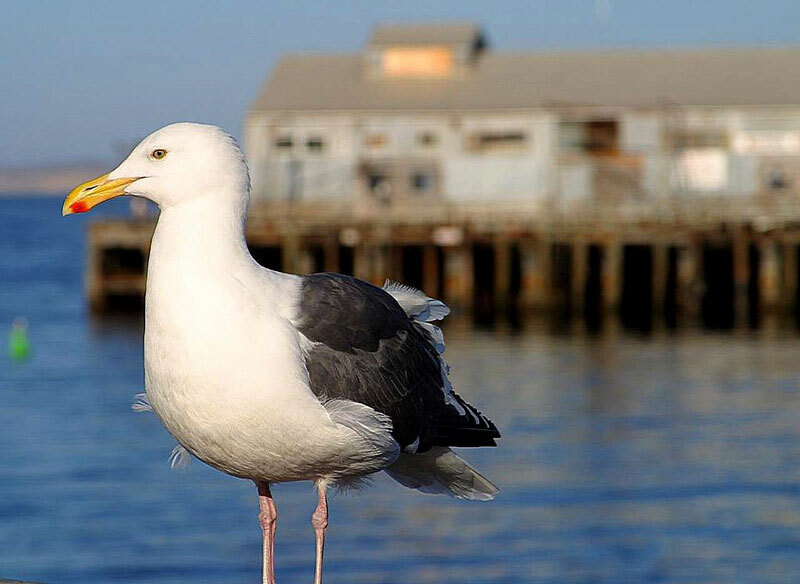 The prime culprit is the Herring Gull (Larus argentatus) which can weigh up to 1.5kg (3.5 lbs). Fortunately unprovoked attacks from the significantly bigger Black-backed Gull (pictured) are less common. The standard modus operandi of the seagull is to make a couple of low passes which might involve emptying its bowels or stomach on you. Following this, if you haven’t run for cover, the gull will gain altitude and dive, approaching its target from behind. Hitting a top speed of around 40 mph (60 km/h) the gull drags its claws across the victims head often resulting in a deep cut. In recent attacks one woman was hospitalised, a dog pecked to death and a Welsh pensioner died of a heart attack during an attack. The adder (Vipera berus) is the only venomous snake in the British Isles. Reaching almost a meter (30 ins) in length the adder is widespread and fairly common throughout the UK. 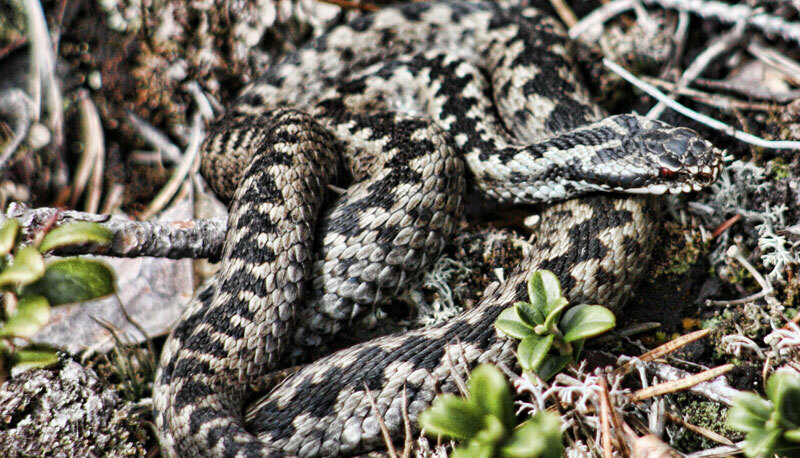 Adders generally feed on small mammals, lizards, amphibians and birds but have been recorded to take on weasels. To take on this sort of prey the snake must be able to disable its prey rapidly. As a species of viper the adder will recoil into the characteristic S-shape before launching forwards at speed and sinking its 1cm fangs in, injecting venom. The bite of an adder is not generally considered dangerous with the venom around 40 times less potent that the most deadly snakes. However, it is often extremely painful and can on rare occasions be fatal. In Britain there have been 14 recorded deaths from adder bites since 1876 with the last one nearly 40 years ago. Besides acute local pain symptoms involve the pain spreading up the limb along with bruising which may turn the whole limb black. Extreme complications involve necrosis or an allergic reaction which can be deadly. As a rule adders are not aggressive and will attempt to avoid humans. It is only in situations where they cannot they will emit a hiss followed by adopting the striking position. I don’t know the figures for the UK but around 1,300 people a year are bitten by adders in Sweden. Before we go on I’d like to get it straight that we are talking about cows here and not bulls. It seems whilst bulls pack more punch per pound they don’t have the strength in numbers that a herd of killer cows do. 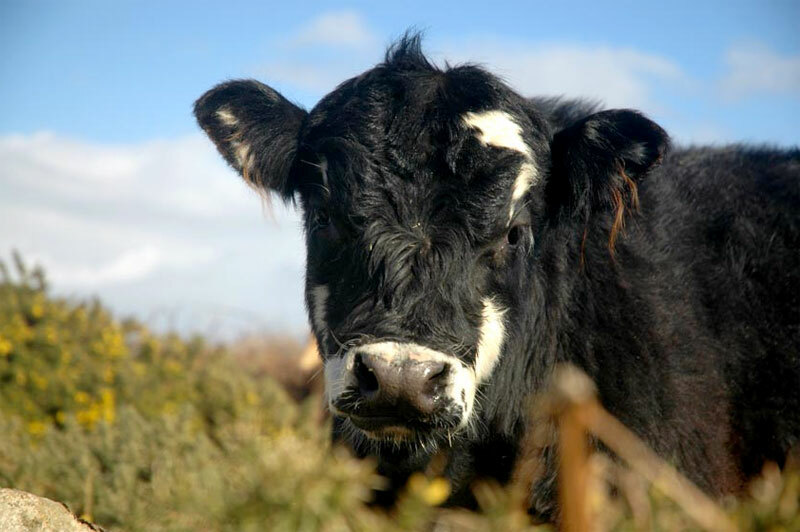 With cow herds in many fields with public footpaths running through them people are bound to come into contact with cows. I have walked in fields full of cows myself on any number of occasions. That said, there was the one time when they seemed to follow me around in a big group and then stop every time I turned around. Given a field full of cows with each one weighing well over half a ton you can see the potential for danger even if they were just clumsy. But this doesn’t appear to be what happens. In the reported cases the cows have really gone on the attack. Victims have described how the cows rolled them along the ground, kicking and stamping on them. They have even said there seemed to be leaders in the herd. It seems that there are 2 common factors in most of these cases. Dogs are present and the attacks occur in spring or early summer which is around calving season. The advice if the situation starts turning a little ugly is to let go of your dog as this is what will be bothering the cows. And don’t worry the cows won’t be able to catch a dog. 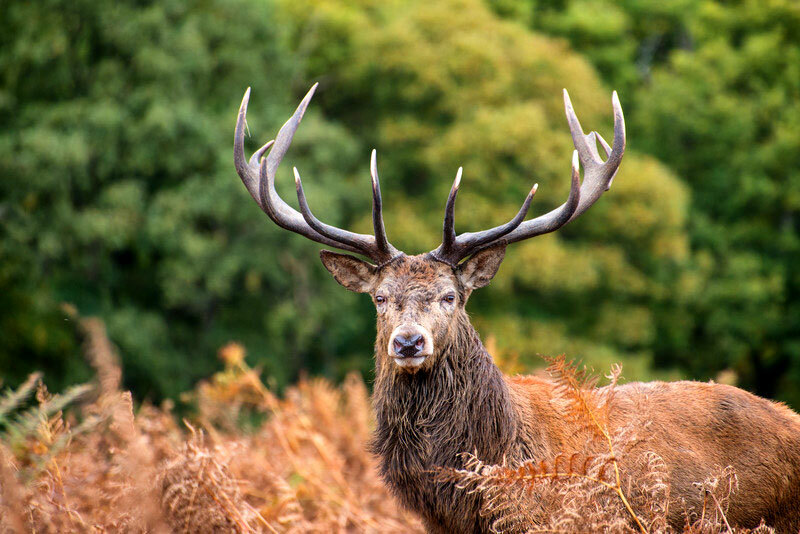 Weighing in at around 100kg (220lbs), measuring 2 metres (6.6 ft) in length and armed with a formidable set of antlers red deer are Britain’s biggest wild animal. Forget Bambi, these animals can be highly aggressive at certain times of year and look anything but cute when reared up on their hind legs ready to bear down with their hooves. Autumn is the breeding (or rutting) season for red deer in Britain. During the run up to rutting the male deer get a huge boost in testosterone levels which makes them more aggressive, causes there antlers to grow and even increases muscle size, particularly in the neck region. These modifications are primarily intended for fighting other stags but it also makes them unpredictable and potentially dangerous to humans. In a recent case a deer farmer was killed by one of his own stags during the rutting season in Wales. Whilst fatalities are rare this is by no means an isolated incident and deer of all types should be avoided at this time of year. Of course these numbers pale into insignificance when compared to the number of people killed on the roads by deer related crashes. Around 50,000 dear are hit by cars every year in the UK resulting in 450 injuries to people and several fatalities. I think the picture speaks for itself! Without doubt dogs are responsible for the most attacks by any large animal in the UK. Since 2005 there have been 17 dog attack related deaths, nearly two a year. There are around 200,000 non-fatal attacks a year which can just be a scratch but often as not result in permanent disfigurement. And this is a rapidly rising trend – up over 30% in the last 5 years. Dogs were originally domesticated wolves with the killer instincts being bred out of them over the years. However, there has always been a legitimate use for powerful working dogs and guard dogs so certain breeds have emerged for these purposes. Dogs like German shepherds, Rottweilers, Mastiffs and even Pit Bulls were all useful working dogs at one time. Over recent years though many such breeds have become seen as dangerous dogs. Just a look at the vital statistics of some of these dogs is enough to scare me. Whilst four specific breeds are banned by the Dangerous Dogs Act there are other, arguably even more dangerous breeds that are perfectly legal. 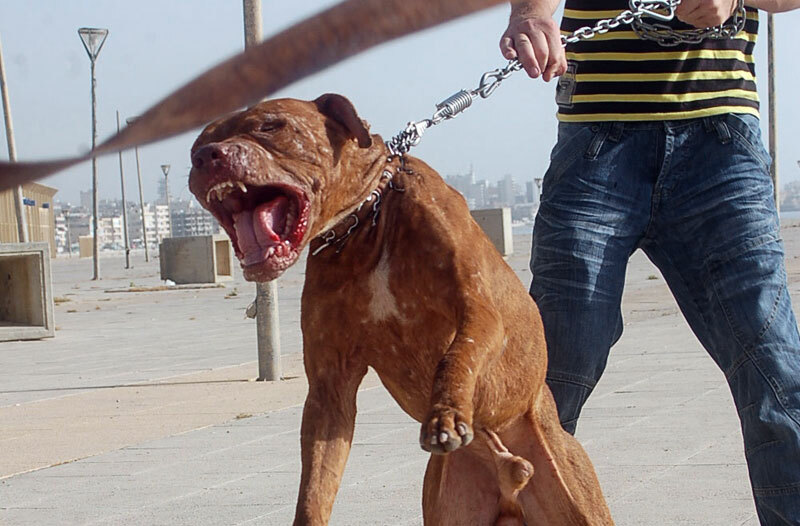 Dogs such as the Presa Canario and the Neapolitan Mastiff, both of which can weigh as much as a grown man and were bred to fight to the death. Yes, I know it isn’t the most exciting choice on the list but the insects of the suborder Apocrita are responsible for more deaths in the UK than any other type of animal. Apocrita includes the bees, wasps, hornets and ants. Although capable of giving a sometimes painful sting, the UK’s ants are not dangerous. 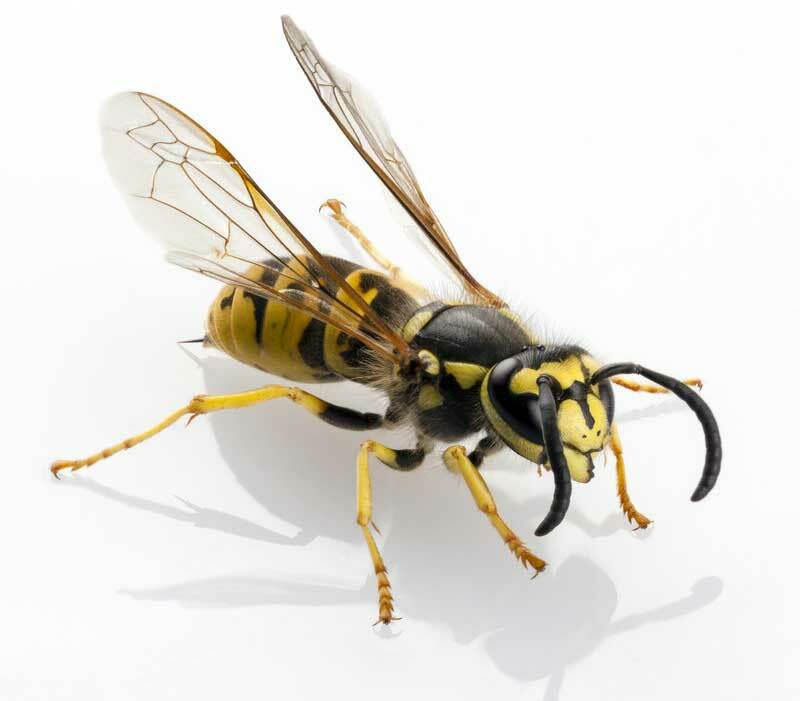 Wasps and bees though are responsible for around 5 deaths in Britain every year; a figure that was recently quoted to illustrate you have the same chance of dying from a sting as from a terrorist attack. What makes this an even less exciting number one deadliest animal in the UK is the fact that it isn’t the sting directly that causes death. It is actually the result of an allergic reaction to the venom in which the body’s immune system goes into overdrive or anaphylactic shock as it is known. But there are two alarming features about these allergic responses. Firstly, they are more common than you would imagine. It is estimated that around 30% of the population have some degree of allergy to stings. This figure is even higher in children and appears to be growing along with the general level of allergies. Another worry is that people won’t necessarily have an allergic response the first or even second time they are stung – it can occur after a later sting. The warning signs that can highlight an allergic response are anything outside of the ordinary pain and localised swelling. This includes feelings of nausea, faintness or tingling. If any of these symptoms are experienced then medical assistance should be sought. squirrel with a machine gun!